EDIT: This thread was updated with more details. Driving this car was like nothing I'd ever experienced, not to mention the novelty of driving on the right hand side of the car for the first time in my life. Here's a video clip that gives a walk through of the car and its modifications, I made this clip to help sell the car later on - and it did sell, later that summer. This was a built race car straight from Japan, and I had no clue what I was getting myself into... The car had so many dials, buttons, and switches I was just overwhelmed! After a few years now, of being involved in Skylines I can say this car had what was typical of most imports - the spaghetti wiring and more quick crimps than should exist on this planet. It was an absolute mess! Although it pulled like a freight train and handled like it was stuck on rails, the state of affairs on the inside was largely neglected by the previous owner to say the least. 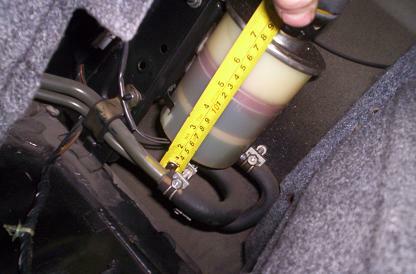 The air vents were all damaged, the shift boot was worn out, the center console was held in place with tape, the state of dis-repair in general was atrocious. One thing some of the imports suffer from is damage to the VIN plate, scratches, or an all together missing VIN. Fortunately, mine was intact though. The worst of all though, was the wiring. It was all done using quick connect crimps, which after a few years make for loose connections and caused a few electrical problems. This became apparent the day my headlight switch caught fire. For someone who was new into the import scene this felt like a disaster! I was driving along the highway, just having fun going in and out of boost and all of the sudden I had no more boost! I assumed I had lost BOTH exhaust turbines at the same time - From what I know today, it sounds ridiculous to me that I believed that at one point - So I pulled over, and limped home with my proverbial tail between my legs. After much discussion and help from people on the forums I narrowed it down to a problem with the wiring on the boost controller! So, I was starting to get fed up at this point with these wiring problems, went to the car, and tore apart every piece of that boost controller, re-connected everything properly with solder and shrink tube, fired up the car and everything was perfect again! The second incident came when I went to take my key out of the car, usually the turbo timer (set for 30 seconds) would shut off the car after the the cool down period. But it just kept running! I disconnected the battery, and it still ran (of course)... So we had to come up with a quick way to shut it off. I ended up removing both intake filters and putting my hands over them to starve the motor of air. It stalled and shut off. The problem turned out again to be wiring related, this time it was the turbo timer. Where the harness connects to the turbo timer, the connections were muffed.... The solution again was to take it all apart, and re-do everything to proper spec. There were a number of other oddities that bugged me about this car too; The way the steering wheel was off center by about 10 degrees - caused by improper alignment and installation of after-market Momo race wheel. There was also a sudden loss of power steering while turning at speeds above 80 km/h at random times - This was caused by improper installation of HICAS delete bar, they didn't compensate for HICAS electrically, they only did mechanically. 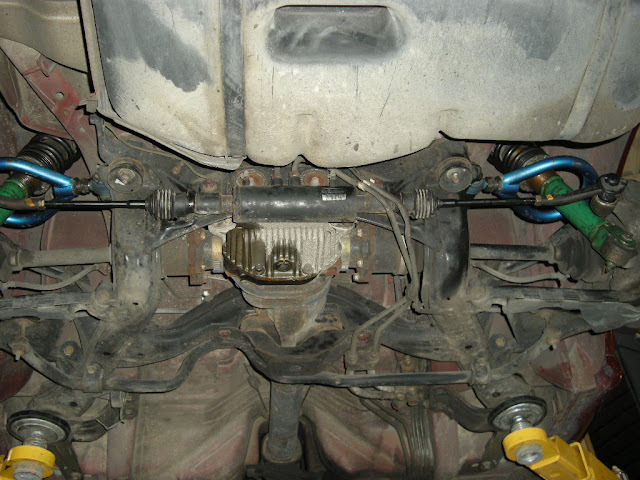 The most bizarre of all was the exhaust system, for some reason which no mechanic could figure out, they had cut out a 2 foot section of the beautiful 3.5" stainless steel exhaust line and welded in a 2" plain steel pipe - it looked like garbage. The frame rails were also crushed in the usual jacking points too. All in all, the car had a lot of good features and money invested into it, but being still quite young and not having a good understanding of cars yet I decided I would be better off to clean this car up to the best of my ability, sell it, and consider buying one that was original. In the following weeks I ordered new center vents and a new shifter boot. I removed all the switches and under-glow lights, re-wired as much as I could, cleaned and polished anything I could reach. Then I brought it into Autoworx were they gave it the full treatment; new fluids all around, spark plugs, and a general look over, for the most part the car was doing very well now. It wasn't more than 2 weeks after I listed the car for sale that I had my first inquiry... I got a call on a Wednesday, the following weekend, another enthusiast came down from Gatineau, Qc... We talked for a few hours, and then it was time to say good bye, he handed me a signed check for our agreed upon amount and we went our separate ways. Both the new owner and I were very pleased with the arrangement we had come to. Looking back on that experience these days I can say that I learned a lot from that car, it also opened my eyes to how much more I needed to learn. How does this have no comments? Wow, Anyway i really enjoyed reading this! 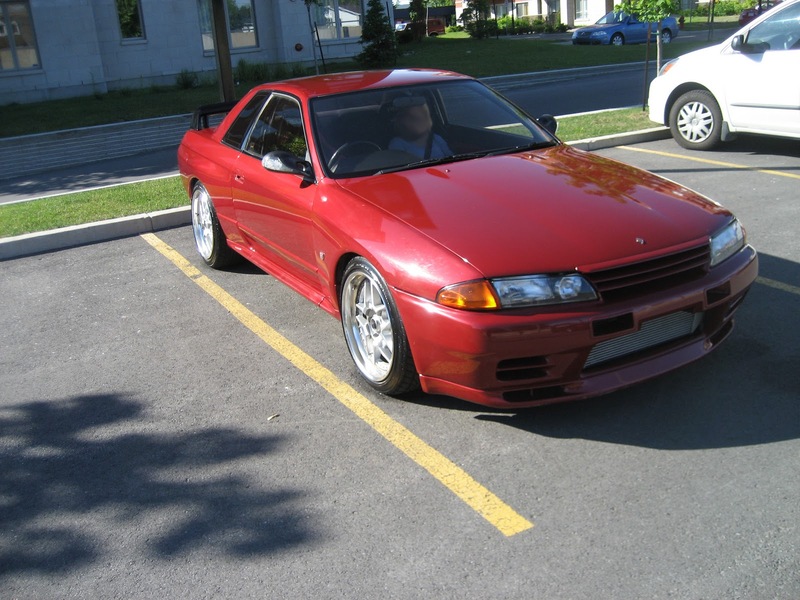 I too just recently got an R32 Skyline, 2 door manual turbo. Only an RB20DET but on 14PSI its crazy haha. Im only 17 and when i got it, it truly blew my mind. 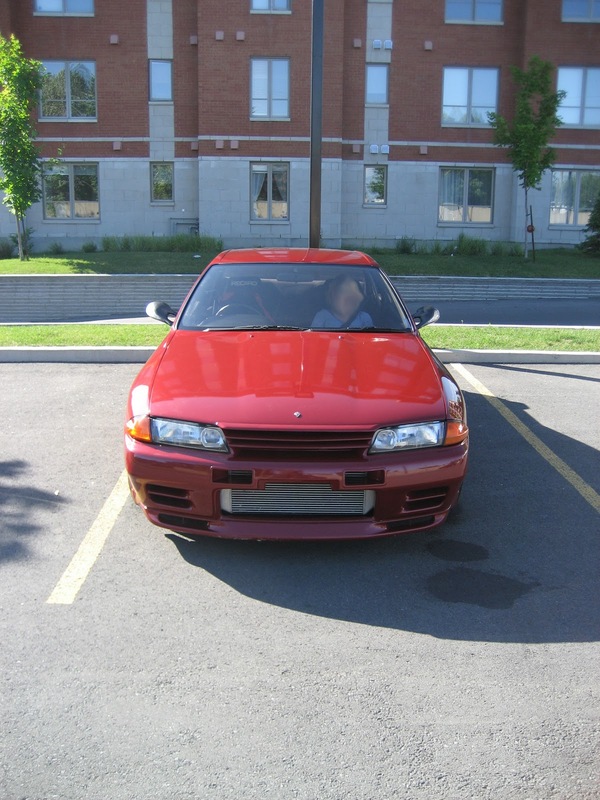 I was actually scared of it when i first got my hands on it being my first manual and turbo car. They truly are a masterpiece aren't they? I also have a forum thread that i upload to quite often. Take a look and tell me what you think if you have the time. http://forums.nicoclub.com/topic560518.html Time to read your other thread, Second GTR! Thousands have read. Everyone appreciates but we all are lurkers. Great to see someone who can embrace their weak points and grow from them instead of being stubborn.